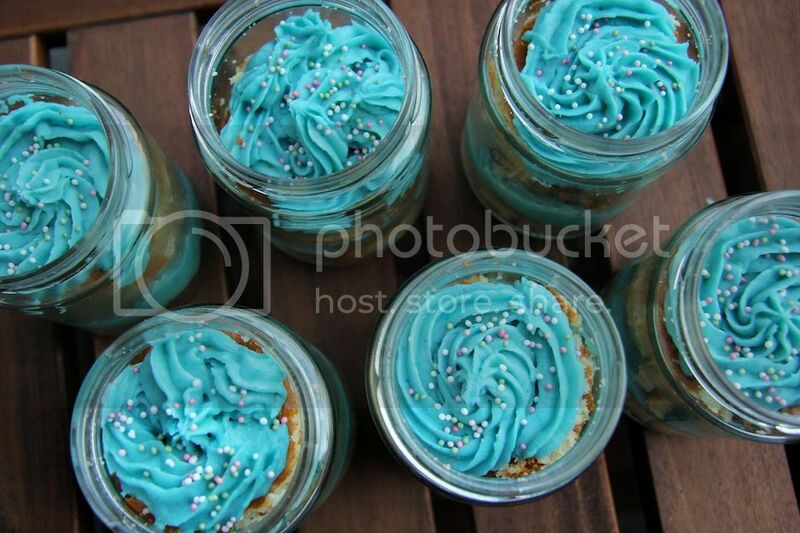 NovelStyle: Cake in a jar! Today I made cakes in jars! Actually, I made the cake in a dish, and then used a biscuit cutter to cut it and put it in the jars. Once I had the bottom part there I added the frosting, and then a second layer of dough. It was super easy to make! Most people bake the cake in the jar... but I was too lazy, and I really wanted frosting in the middle ^^. Mix together 1 cup of butter, 3 cups of powdered sugar, 1 teaspoon of vanilla essence and blue food coloring. mmm! It s delicious !! 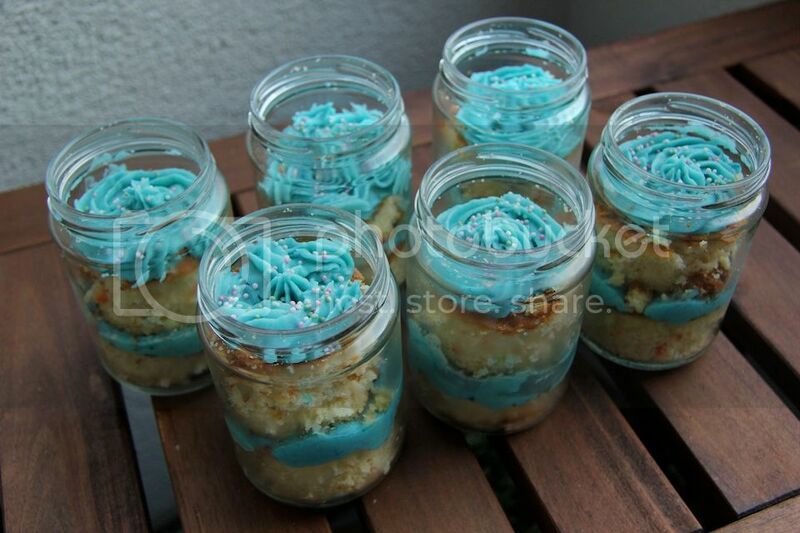 Yumminess, love the idea of putting cakes in a jar! the icing is the loveliest colour. Thanks for sharing your beauty views with me :) Happy Friday! Mmmm yummy! I actually just saw a recipe for rainbow cake in a jar at another blog and I'm definitely trying it for myself! OMG this looks so delicious.Well done girl,who can't resist these? Fabulous idea!! We have to try!! Mmmh, it seems very delicious, i'll try to do it in my home ! I really fall in love with your blog. The design its so nice!!! I start following u on GFC.